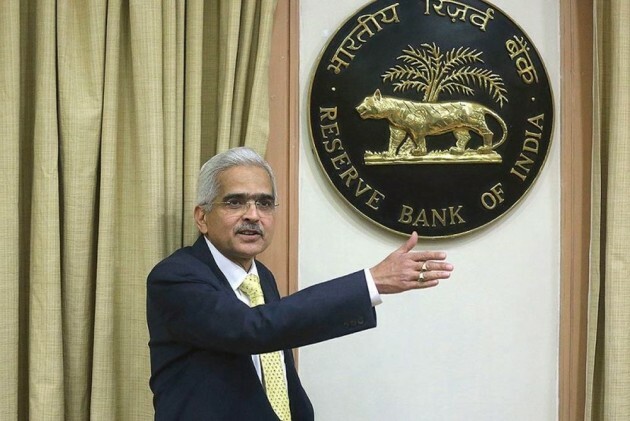 Jay Narayan Vyas, a former member of Narendra Modi's cabinet when he was the Chief Minister of Gujarat, sent out a tweet on Wednesday morning referring to the new Governors educational qualifications saying: "pray he (Das) doesn't make RBI also a history". Jay Narayan Das, a BJP Gujarat state executive member took a dig at the new RBI Governor Shaktikanta Das's educational qualifications. A Bharatiya Janata Party (BJP) state executive member from Gujarat is causing embarrassment to his party with his tweets over the appointment of Shaktikanta Das as the new Reserve Bank of India (RBI) Governor. Jay Narayan Vyas, a former member of the Narendra Modi's cabinet when he was the Chief Minister of Gujarat, posted on the social networking site Twitter on Wednesday morning referring to the new Governor's educational qualifications saying: "pray he (Das) doesn't make RBI also a history". "To manage RBI you have to have a fair knowledge of the domestic and international economy. I respect IAS, the issue is that they're exposed to a little of many things but the acceptance among the international community which earlier Governors commanded (is not there)," said Vyas according to ANI. "I sympathise with Shaktikanta Das, he has a master’s degree in history. He’ll have to pull out a lot more at his age that is near retirement. He has to control and steer the RBI and answer issues like the use of RBI reserves," he added. Das was announced as the new RBI Governor on Tuesday after Dr Urjit Patel, who became the first governor since 1990 to step down from the post, resigned on Monday. Patel's resignation came four days ahead of a crucial meeting of the board of the central bank that could have discussed issues of simmering differences with the government. Das, a retired 1980 batch IAS officer of the Tamil Nadu cadre, is a post graduate in history from the Delhi University but had mostly worked in economic and finance departments in the state and the Centre during his 37 year-long tenure. The RBI has been at loggerheads with the Finance ministry on matters ranging from the appropriate size of the reserves the central bank must hold to the easing of lending norms for sectors such as small and medium enterprises.